Tonight, I opened up a wheel of my one-year clothbound cheddar, and I thought you might like to see it. Becoming a proficient cheesemaker has been great fun, and one of the most rewarding things I've done since moving to Vermont. Maybe I can get you interested in cheesemaking! As some of you might recall, I recently took a trip to Quebec, and toured a few fromageries. I was delighted when this evening, Mr. Know Whey brought home a mysterious bag containing two Québécois cheeses. 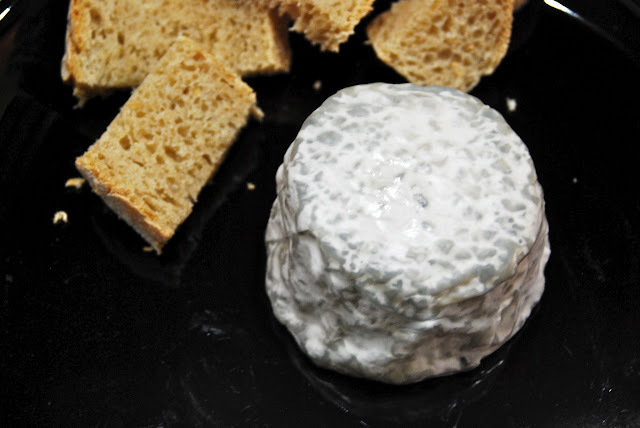 There was LeCharbonnier, an ash-coated aged goat crottin, and La Vailloche, a nutty, smooth aged goat cheese. These cheeses, from fromagerie Ruban Bleu,were both truly outstanding. 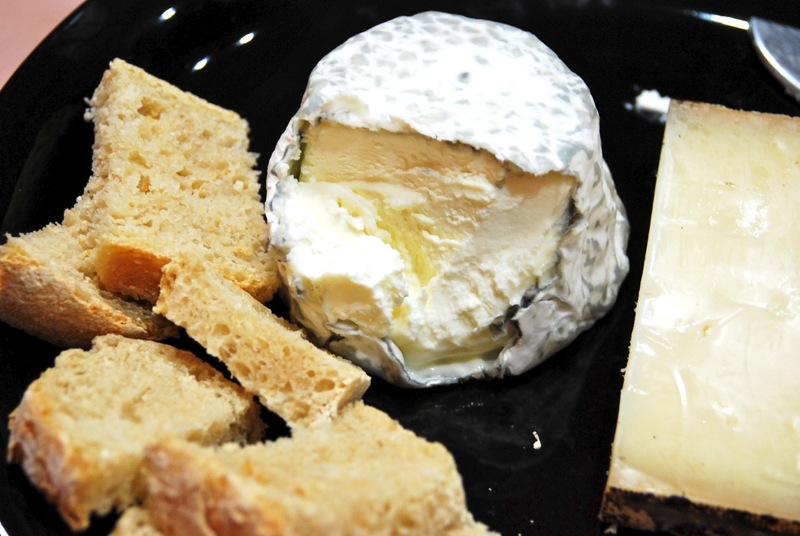 Inspired, this evening I made a batch of goat cheese myself, but that's another story. The ash exterior on LeCharbonnier creates an excellent rind, protecting the delicate interior. 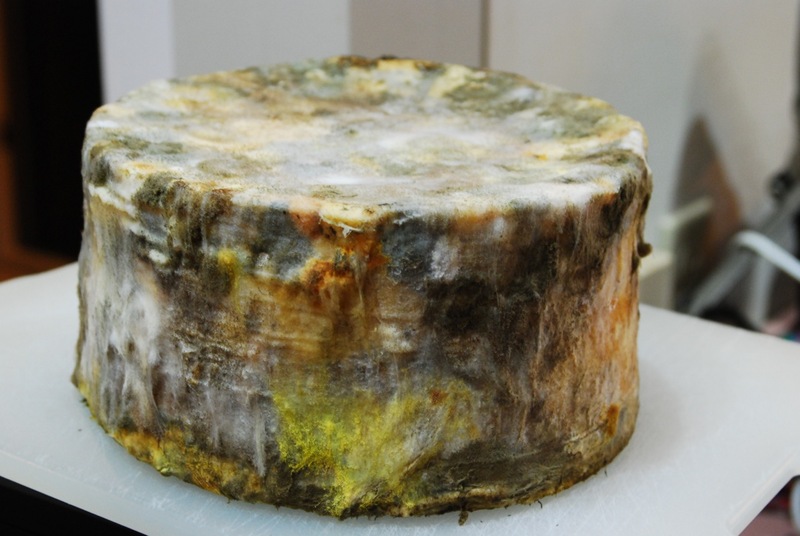 To repay the cheese donor in kind, I brought up a one-year clothbound cheddar from the cave. As you can see, the surface of the double cloth binding is covered with a variety of molds, all simply the natural molds in our environment. 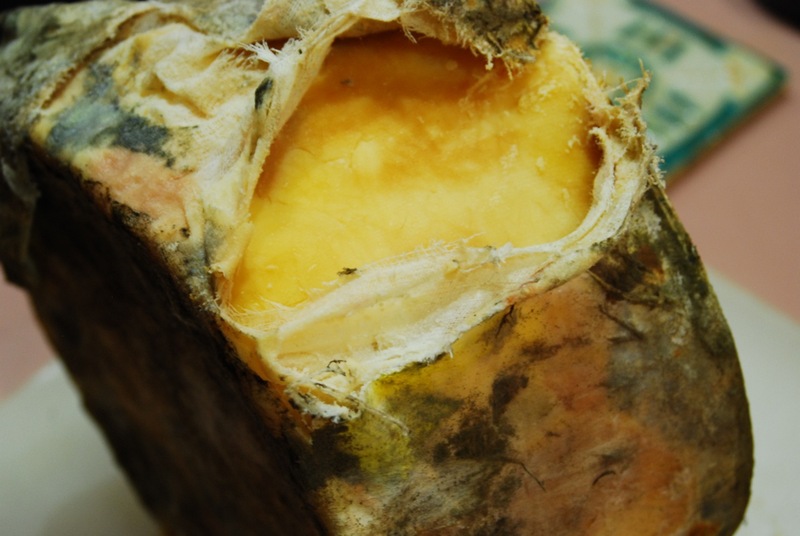 The cheese, as it ages, is influenced by these wild cultures, and picks up a lively and complex flavor. 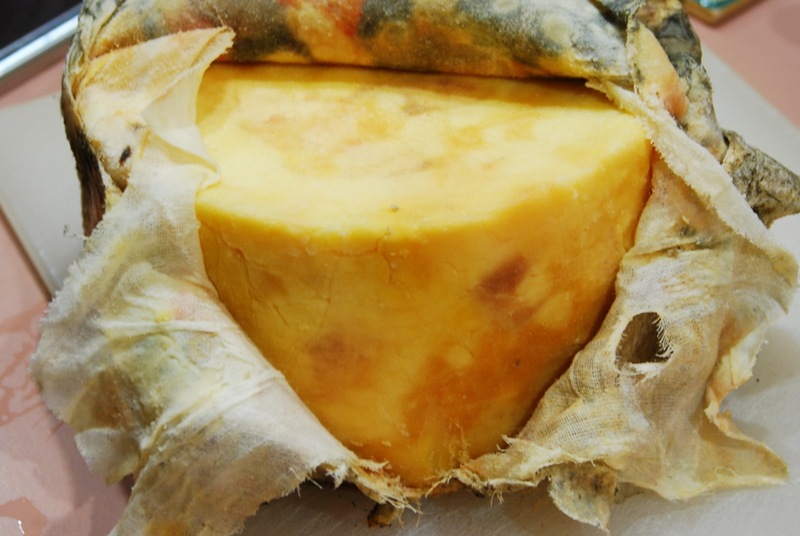 And that is the concept of clothbound cheddar, which has been around for a very long time. 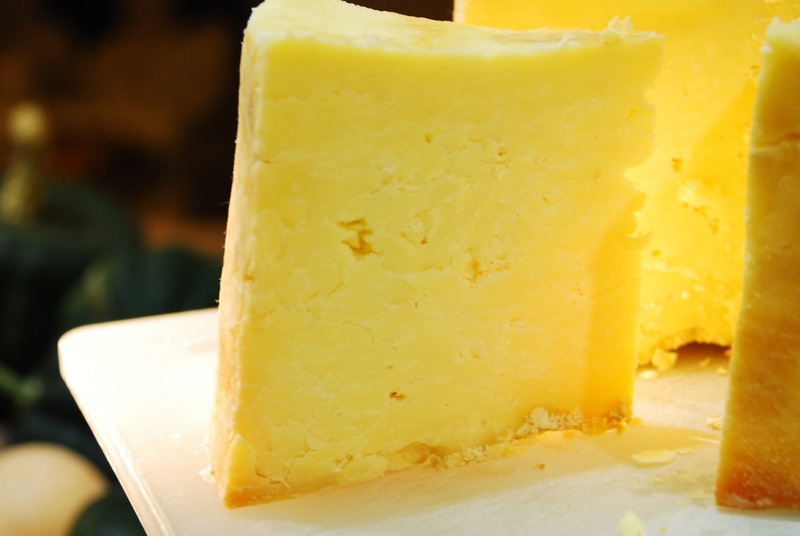 Cheddar has been produced in England at least since 1170, according to Wikipedia. 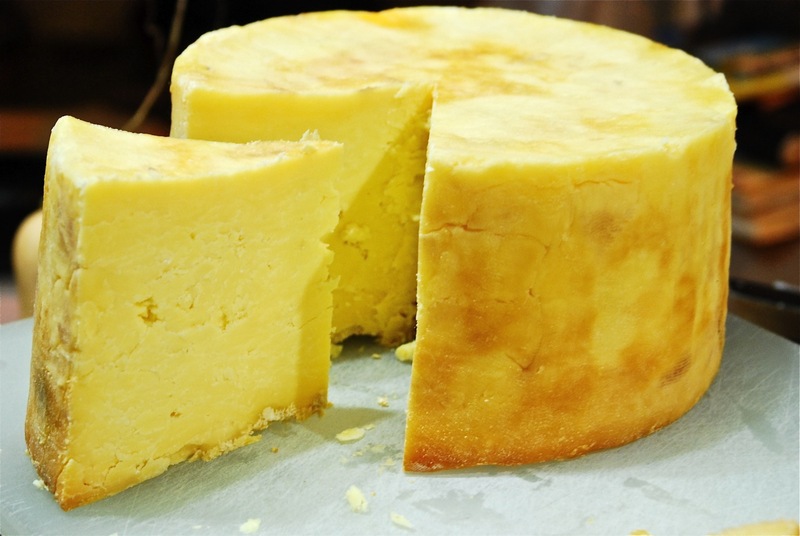 And I can see why: cheddar is relatively easy to make, easy to age, and absolutely delicious (if you do it right). It has a brilliant quality that is quite memorable, and is very adaptable to different uses. I love opening the cheeses, it's kind of like Christmas... I cut open a small hole, and it's always a surprise to see the golden cheese inside. 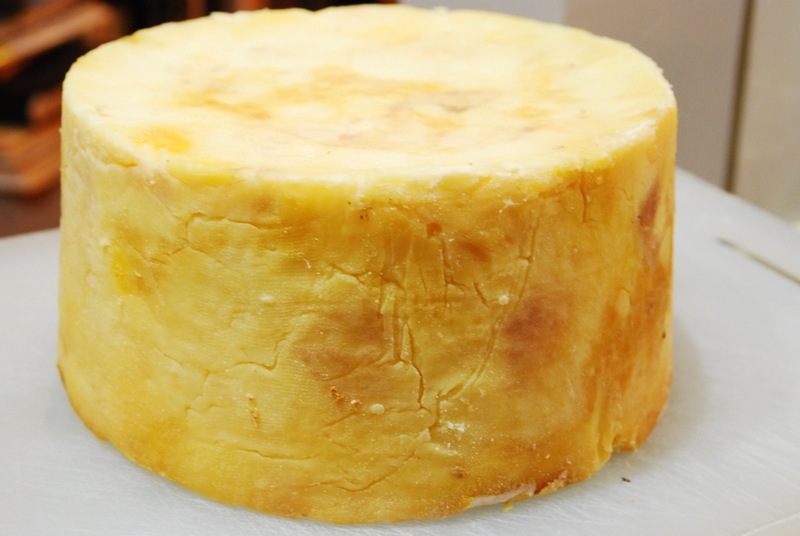 The cultures that have surrounded this cheese for a year have imparted a tremendous amount of flavor and character. 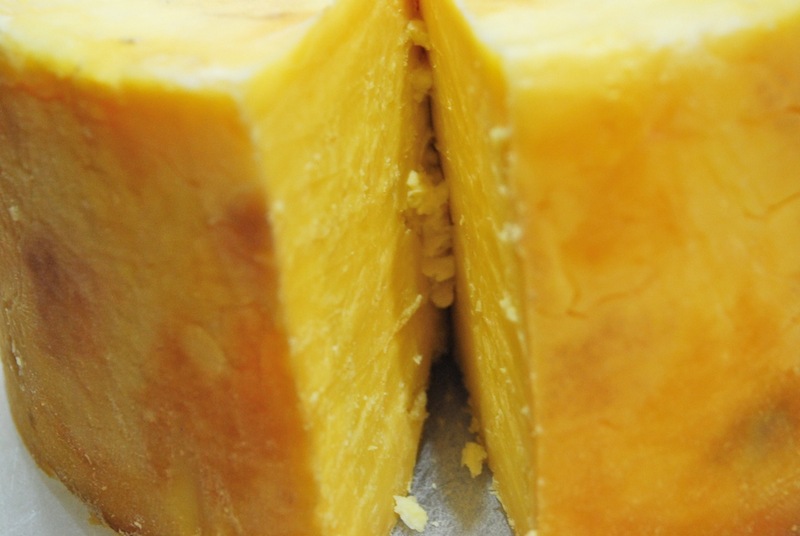 The cheese is firm and dense, like very heavy butter. It cuts smoothly. The texture of the cheese is somewhat dry, flaky, and rich. It has a slight crystalline quality, and melts beautifully. In other words, classic cheddar of a very high quality. I wrapped up a piece in waxed paper and sent it along the next day. I feel like I visit your blog in part to inspire Cheese Envy, so that one day, in the distant future, I can finally grow gorgeous cultures of my own. I can almost taste that Cheddar. Gorgeous. @julialikesred, thanks!! It's not that hard to do, you know.. if you have some good milk. I've been following your blog for a while now....and I am moving to Vermont in June. I am so excited to move out there...your blog inspires and gets me so excited to experience the beauty of Vermont! I've never made cheese before, but I am definitely going to learn!